Peel, core and quarter apples. Place in a small saucepan with a couple inches of water. Cover with a lid. 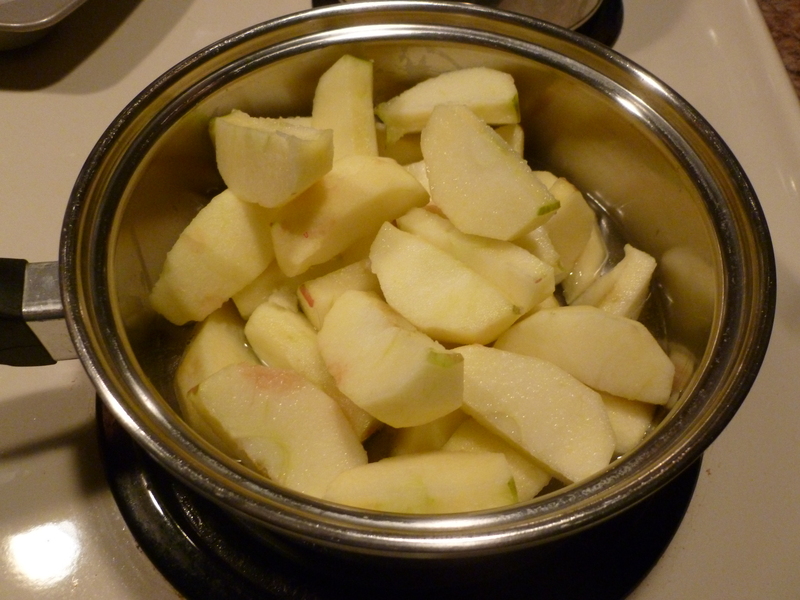 Steam the apples until soft and slightly mushy, stirring occasionally. You may need to add water if it is absorbed before apples are soft enough. 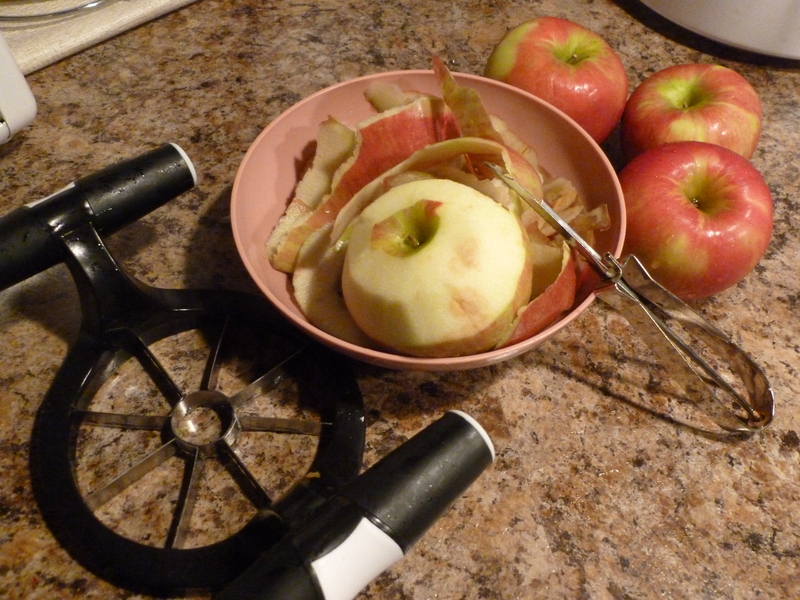 Take a potato masher and mash up the apples into sauce. It should be thick and a little chunky. If you like it more smooth, blend on low with hand held electric blender. Add a little cinnamon, if desired. No added sugar is needed as the apples are sweet enough! 2. Cut squash in half and remove seeds with a spoon. 3. Place squash halves skin side down on a baking sheet. 4. Rub olive oil over squash halves. 5. Fill squash halves with applesauce. 6. Sprinkle cinnamon on top of each. 7. Bake for 45 minutes, or until a fork inserts smoothly through squash meat. 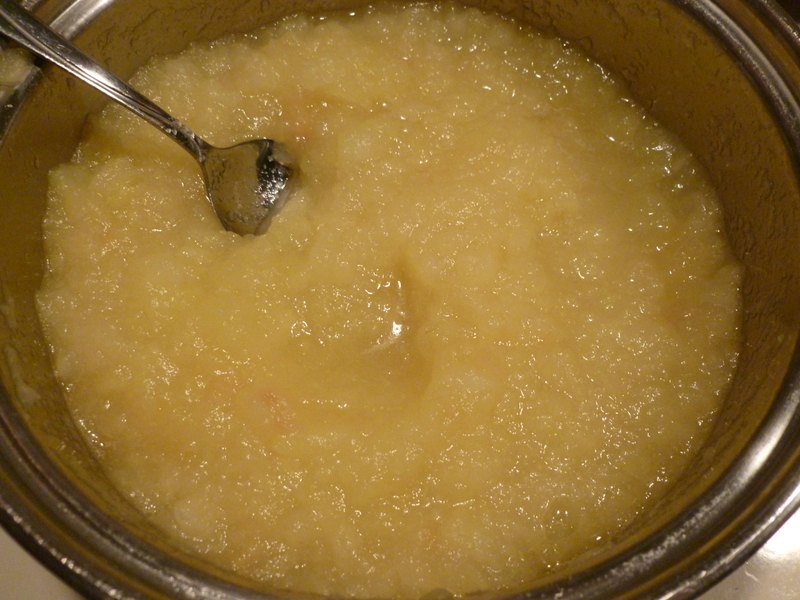 •	Try different flavors of apple sauce.